When someone thinks of the Australian outback they are greeted with the warmth of red sand underfoot, the low murmur of cicadas in the summer with the belly laugh of the kookaburra. Somewhere a kangaroo grazes. You imagine sheep-shearing sheds, flannel shirts and tanned skin. 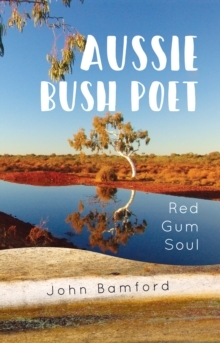 Aussie Bush Poet is a collection of poems from someone who has long gone walkabout in the bush, not just in dreams but physically and mentally. Mixing vivid and emotional life experiences and stories with the rich and truly unforgettable Australian landscape, it gives a real feel of being amongst the eucalyptus and the burbling rivers.